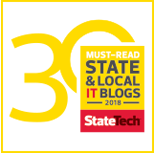 The Office of Information Technology (OIT) publishes policies, procedures, standards, guidelines, templates, and forms applicable to all departments, agencies, offices, boards, commissions, bureaus, and authorities of state government (except those expressly exempted by applicable state statutes). To ensure all state entities have an opportunity to review and comment on the policies of OIT, draft versions of all such documents will be posted to this site for a review period of approximately 30 calendar days. Select from the subjects listed below to see a summary of the policy topic and links to all related documents. Comments regarding these documents should be addressed to IT.Governance@oit.alabama.gov. Coming Soon More documents will be posted here soon.